Garlic Mustard (Alliaria Petiolata). Closeup Shot Of The Flower Head. Uk. 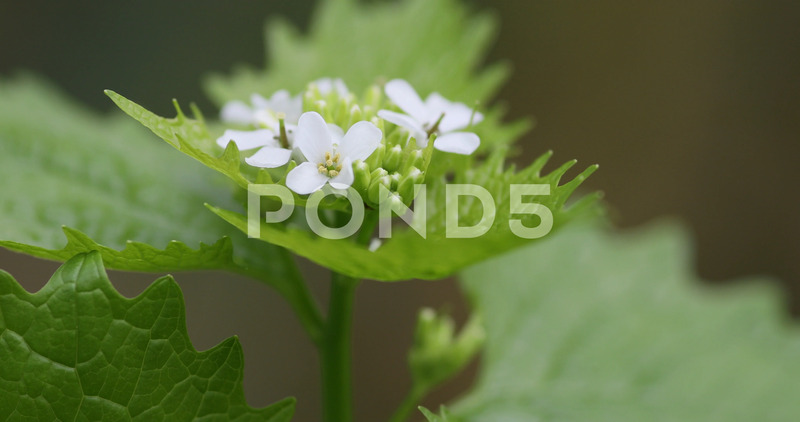 Description: Garlic Mustard (Alliaria petiolata) flower head in a British woodland, early summer. The head is gently moving with the breeze. North Wales, UK.